the perfect wedding gift for a retro loving or rockabilly couple! This fab pair of stainless steel flasks are decorated with images taken from an amazing set of 1950's his and hers guest towels. the front of each flask displays either the happy bride or groom and the back of both flasks (as shown n the 4th photo) has the same Mexican image taken from the third towel in the series. 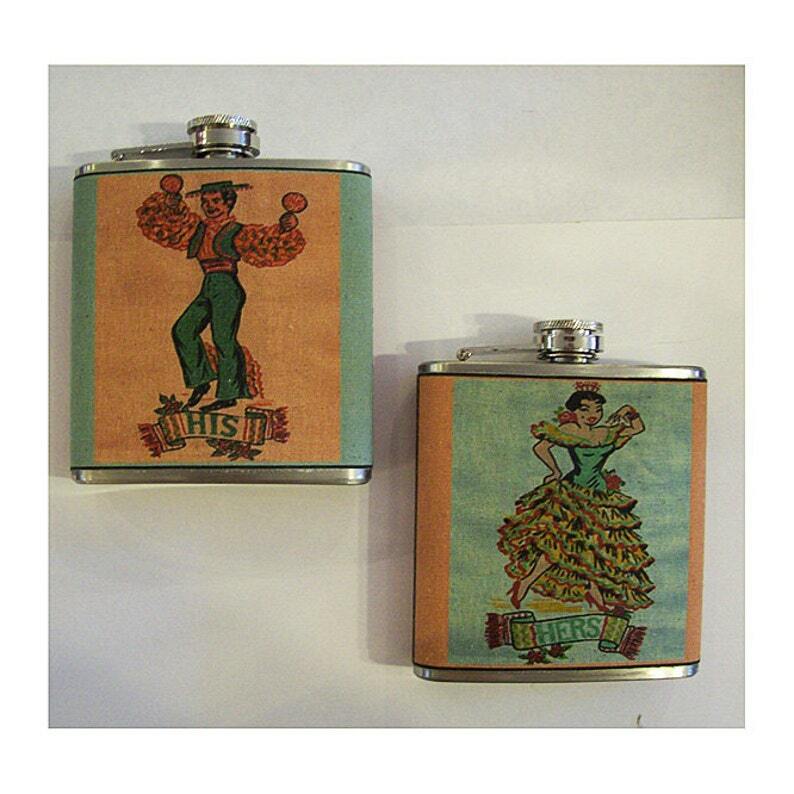 I am more than happy to make a His and His or Hers and Hers flask sets if called upon to do so!